Notes: Immaculate condition - a rare cover. The above Royal Mail Economic Summit stamps were issued on 05 June 1984 by Royal Mail and feature the following stamp designs: 31p Lancaster House. 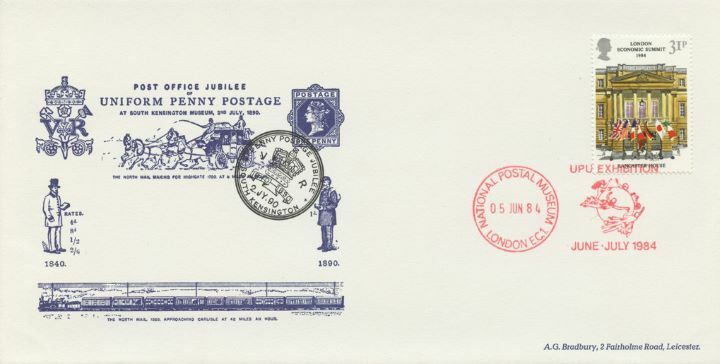 The Uniform Penny Postage first day cover with the National Postal Museum, UPU Exhibition, Special Handstamp postmark has been produced by Bradbury and features these stamps which can make a very collectible and lovely gift.